A new movie starring Canadian actor Ryan Gosling tells of the story of Neil Armstrong landing on the moon–but omits the American flag. The Canadian actor also acknowledged his own “cognitive bias” due to his nationality. 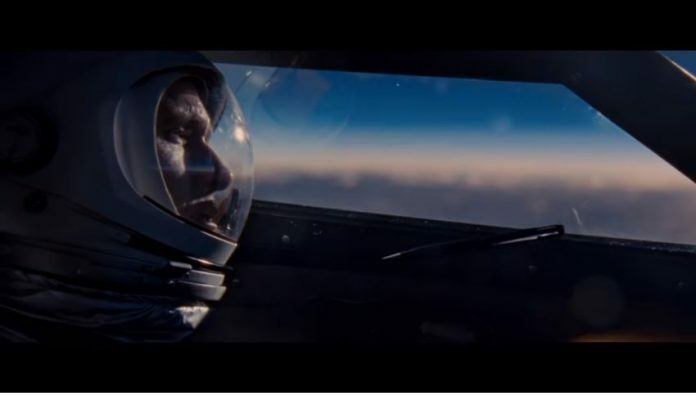 It’s unclear exactly why the movie would omit the iconic image of Buzz Aldrin standing on the moon with the American flag planted in the surface, even if the producers do consider it a “human achievement” and not solely an American one. Although, it is solely an American one, as the United States is, to this day, the only nation that sent a man to the moon. Gosling hasn’t been as outspoken about his political beliefs as many of his celebrity peers have been in the past, but he has shown flashes of his political sympathies. He once tweeted out a video of socialist Bernie Sanders hugging a Muslim student after the student asked about Islamophobia in America. “Let me be very personal here, if I might. I’m Jewish. My father’s family died in the concentration camps. I will do everything that I can to rid this country of the ugly stain of racism which has existed for far too many years,” Bernie Sanders told the student in the video.